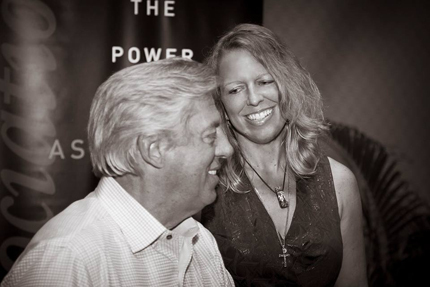 Gabrielle Consulting is a partner with John C. Maxwell to provide leadership training, speaking, and coaching. Apply today to join the 2018 Leadership Academy, a systematic program that includes comprehensive curriculum, assessments, mentoring, and coaching. Learn more about the Leadership Acdemy's excellent program. Also, register for the next FREE leadership lunch and learn in Tallahassee,	Florida. Gabrielle Consulting is thrilled to have had Dr. Gabrielle K. Gabrielli named 2014 Parks & Crump Community Champion Business of the Year. Gabrielle Consulting also was named Sole Proprietor of the Year 2013 by the Tallahassee Chamber of Commerce at the Annual Chamber Awards. We are a proud member of the Chamber and offer many discounts on classes and services to fellow members. Gabrielle Consulting inspires leadership in others and teaches people to improve motivation, performance, and learning. Our specialties include instructional systems design, human performance technology, motivation, digital marketing, and technology-mediated learning. Gabrielle Consulting promotes leadership and stewardship. Dr. Gabrielle K. Gabrielli is a certified coach with the John Maxwell Team. She enjoys helping people and organizations clarify and achieve their goals. The coaching process is a powerful way of helping people overcome challenges and succeed. Dr. Gabrielli assures confidentiality with her coaching clients, and she becomes their accountability partner to help people get to the next level. Her clients include top executives, entrepreneurs, managers, government, industry, and nonprofit organization supervisors, and people identified as “problem employees” or even bullies. Based on careful questioning, Dr. Gabrielli guides people to determine action items to help them toward their goals.